4k00:19Night view of Big Ben over the River Thames, London, UK. A view across the River Thames with Westminster Bridge leading the eye towards Big Ben and the Houses of Parliament; pan left to wipe. hd00:29LONDON, UK – APRIL 2nd: London traffic on evening of April 2nd, 2012. Traffic and pedestrians cross Westminster Bridge, Central London. 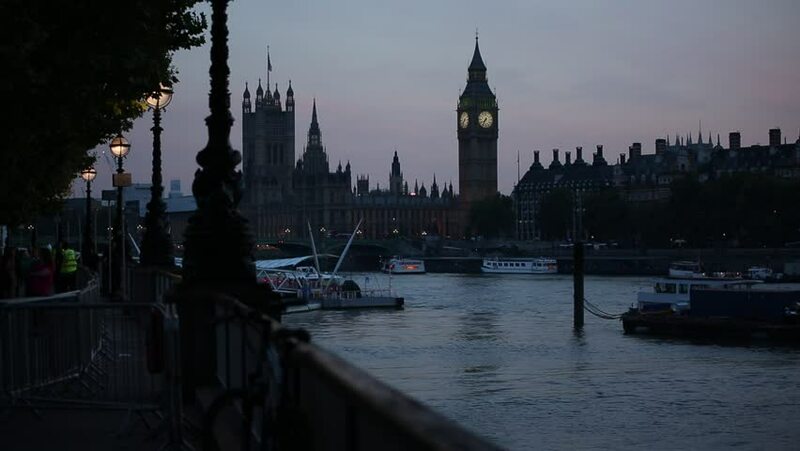 4k00:11LONDON, ENGLAND - CIRCA 2015 - Dusk shot of the River Thames with Big Ben, Parliament and Westminster Abbey distant. 4k00:18LONDON - MAY 23: Buses, cars and pedestrians cross Westminster Bridge at night with Houses of Parliament in the background on May 23, 2015 in London. The Palace of Westminster is a UNESCO site.